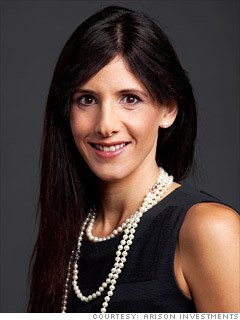 Peled, 37, heads the business, operations, and investment strategy for Arison Investments, whose total net assets are approximately $5.1 billion. Investments include acontrolling stake in Israel's leading bank Hapoalim, with a market capitalization of $6.5 billion. Last year she was invited to join the Clinton Global Initiative's LEAD group of 22 young leaders. The full list of Fortune's annual ranking of America's leading businesswomen.